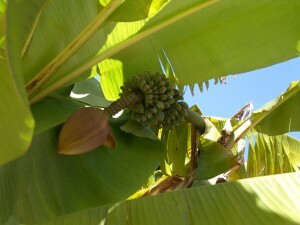 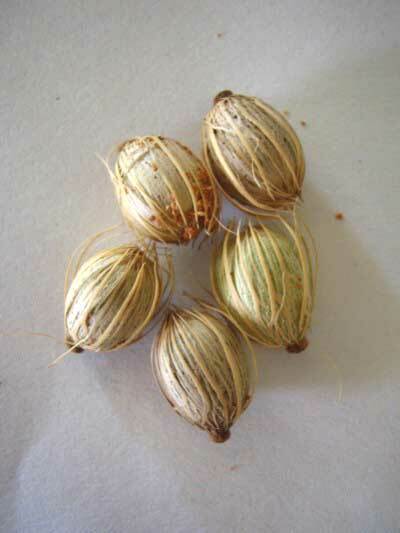 As it is sterile, no seeds can be obtained from the Musa basjoo. 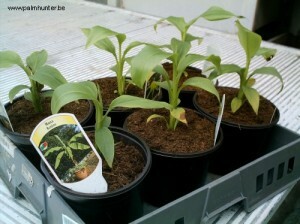 However, you can easily propagate it by cutting the pups. 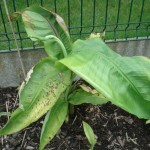 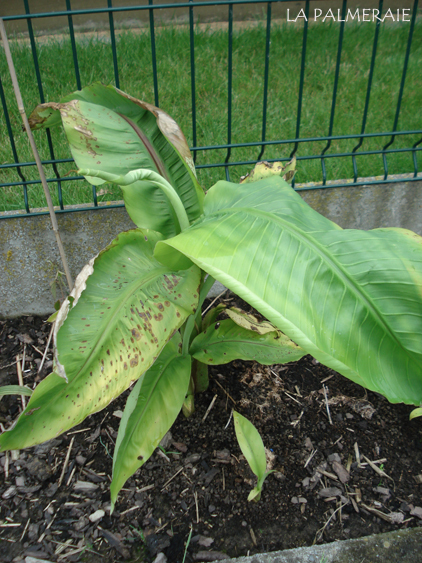 Check out the article: “Banana plant multiplication” In addition, this popular banana is also sold in most garden centers. 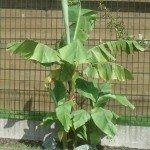 The Musa basjoo grows best in full sun on a nutritious but well drained soil. 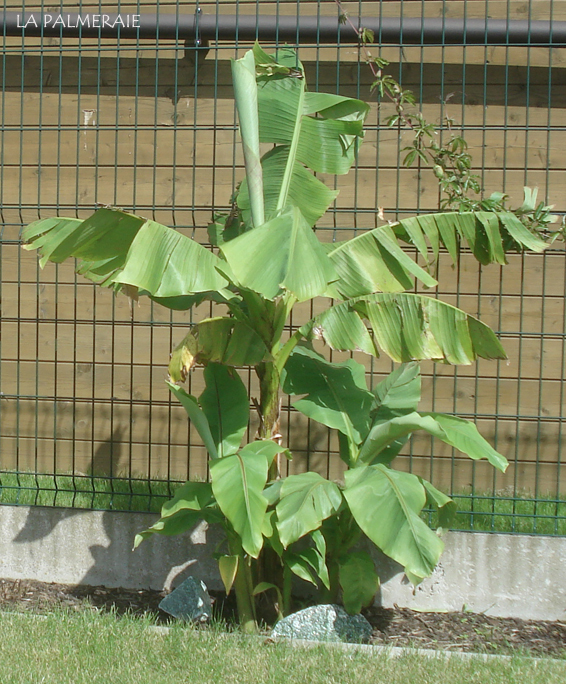 He is best protected from the wind so that the leaves aren’t torned up by the wind. 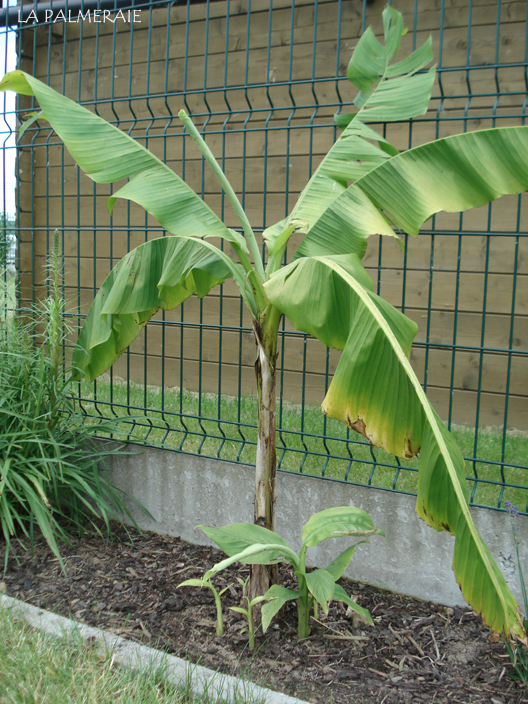 The Musa produces pups through its rhizomes. 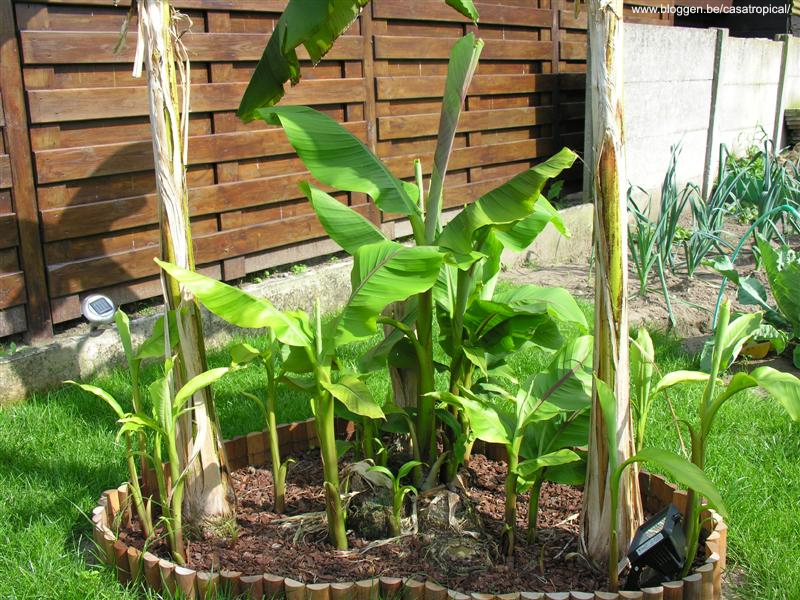 The used space can optionally be limited by using a rhizome barrier in the plant hole but as the rhizomes aren’t that though this isn’t necessary by all means. 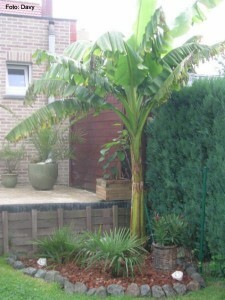 For good growth its needs a lot (!) of water. On hot, dry days, a daily water gift is definitely no luxury. 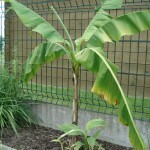 During the growth season, you may regularly add a fertilizer as well. 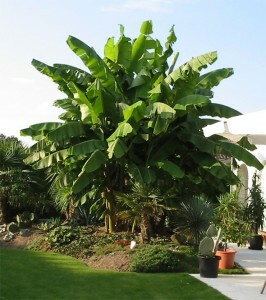 The Musa basjoo is widely grown on the Ryukyu islands in Japan for its fibers, hence the Dutch name “fibre banana”. In the meanwhile, it has become very popular in Western European gardens because of their hardiness, fast growth and easy care. 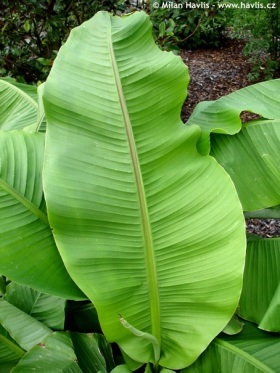 A Musa gives no doubt a tropical look to the garden.